Learn more about the shape of persuasive presentations by exploring the multimedia version of Resonate by Nancy Duarte. Viewing a presentation’s contour helps you clearly see the contrasts. The line moves between what is (the lower position) and what could be (the higher position) to show contrasts in content. It changes colors to show contrasts in emotion and delivery. Every presentation has a unique sparkline. No two are alike, because no two presentations are alike. Using a tool like the presentation form to achieve great results isn’t new. Movies and myths all have a form, and they all yield beautiful and unique results. Similarly, presentations that follow the Presentation Form will all be unique. The presentation form isn’t a formula, because it has enormous flexibility; rigid adherence to it could become predictable. So, it’s equally important to embrace its versatility. Above is an annotation of how to read the sparklines in a book. The case study below will show the first use of the presentation form applied as a sparkline. Jawaharlal Nehru was an Indian politician, political heir of Mohandas Gandhi, and India’s first Prime Minister of independent India. He was a charismatic leader who pushed for complete independence from the British Empire. 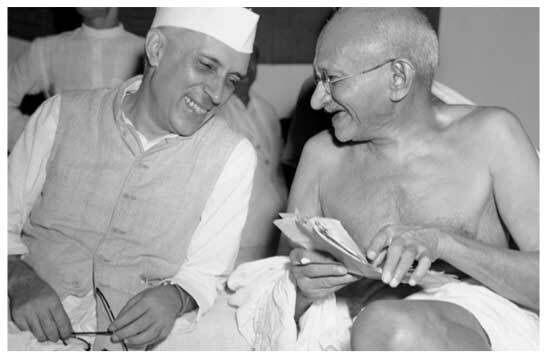 After India suffered during a hundred years of non-violent struggle against the British Empire, Nehru delivered a speech to the Indian Constituent Assembly on August 14, 1947, the eve of India being freed from British rule. The speech, Tryst with Destiny, is one of the greatest speeches of all time. It is beloved in India, similar to how Dr. Martin Luther King’s “I Have a Dream” speech is beloved in the United States. Above is the shape of his speech. You’ll notice he starts off with what is and moves back and forth between what is and what could be in almost perfect frequency. The speech ends high and to the right by describing the new bliss. He created a perfect cadence of contrast. Nehru’s speech is in classic form. As the first independent leader of India, he delivered a rousing speech that ushered in an era of freedom and reformation.